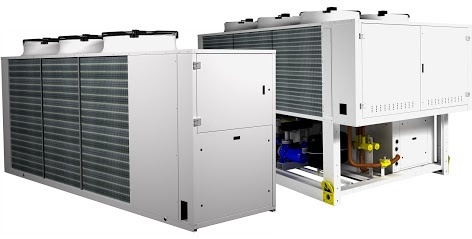 NRP is the range of multipurpose external units operating on refrigerant R410A, designed for four pipe systems. 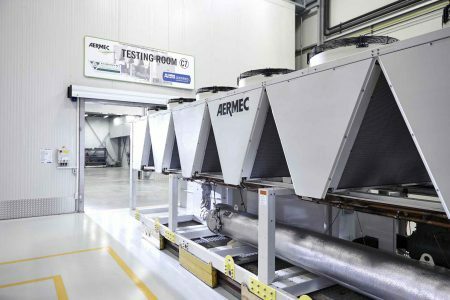 With just one unit, simultaneous, independent requests for hot and chilled water can be accommodated all year round, generating great energy savings. A two pipe version is also available. In this version, the unit produces cold water or hot water in one heat exchanger (connected to the building), and hot water for DHW in another heat exchanger. This version should be used in buildings with two pipe terminal units that have a regular need for DHW.